Wildlife & Birding Destinations: Owls ! Owls are very popular birds, of course with birders, but also with non-birders and many wildlife photographers just love them as subjects. There are around 250 species globally (depending upon which taxonomic order is followed), occurring on every continent. Owls range in size from the huge Eurasian Eagle Owl, often 75cm long, to the tiny Elf Owl at 12cm. Females are usually bigger than males. 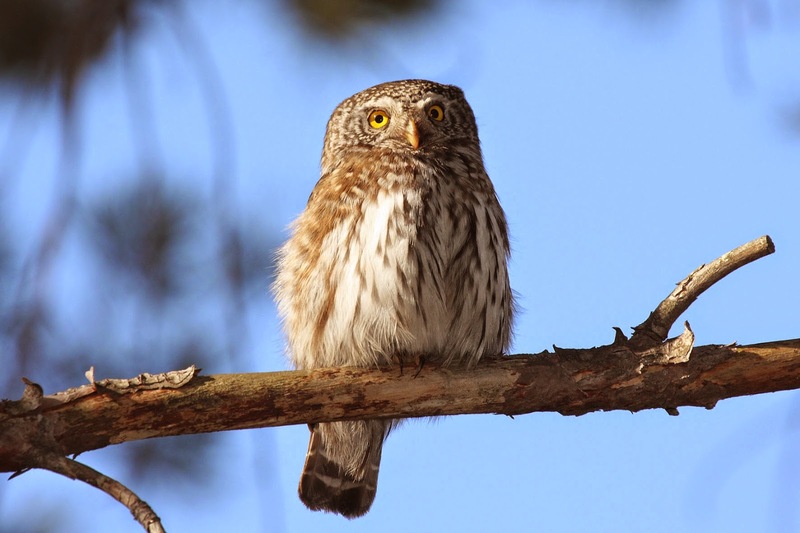 This is a Eurasian Pygmy Owl Glaucidium passerinum, in the Austrian Alps (by kind permission of Thomas Hochebner).